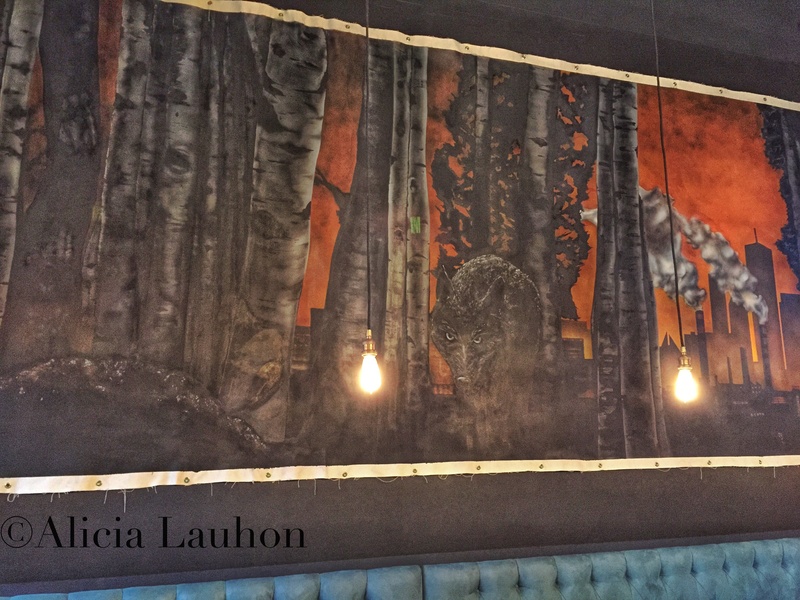 Little Bad Wolf is known for their burgers and I will definitely try one on my next visit. You can order tacos and baos individually so it is easy to try a variety of food. 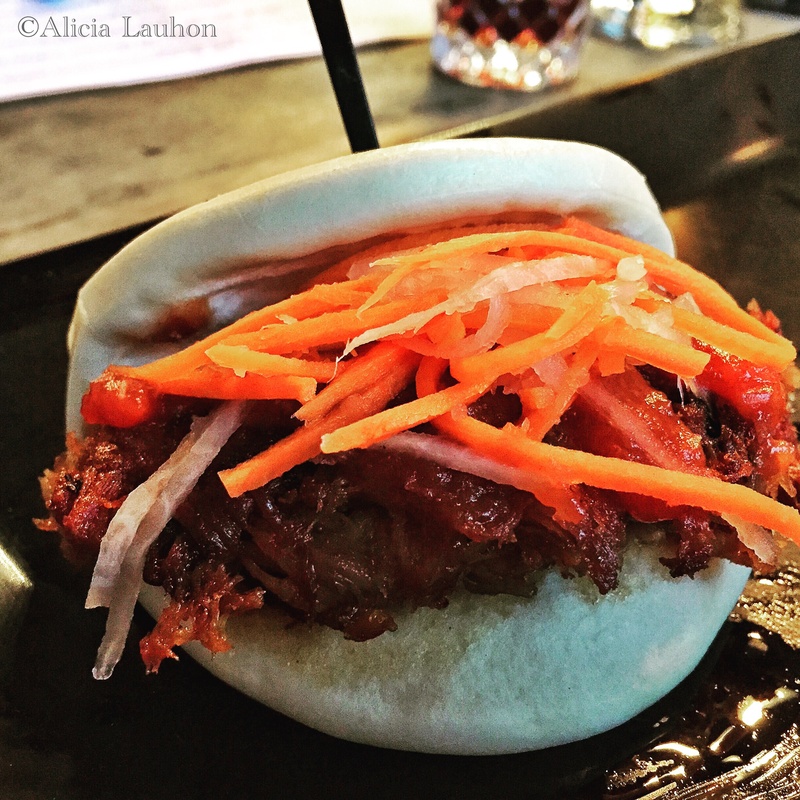 I feel in love with the pork bao – Japanese BBQ, pickled carrot, daikon on a delightfully fluffy and spongy bun. You might as well order more than one because that’s what’s going to happen anyway. Fish taco with lightly fried tilapia, chile aioli, corn salsa and salsa verde is another solid choice. Fresh salsa and corn tortilla give the taco a nice flavor. On the salad front, the grilled hearts of romaine with tomatoes, fresh corn, gorgonzola house vinaigrette and a while balsamic reduction is a very satisfying salad –– good for sharing or as entrée if you are going meat-free. Mac and cheese is tasty with the honey cured bacon and toasted bread crumbs giving an already delicious dish an interesting layer of flavor and texture. They do not take reservations and there is limited seating so plan on arriving early or hanging out at the bar until a table is ready. It will be worth the wait. Is it possible that NPR is doing a segment on this place today?I just read your post and then went to move my car and heard they were going to talk about a place in Andersonville. Not sure, that would be a great coincidence!